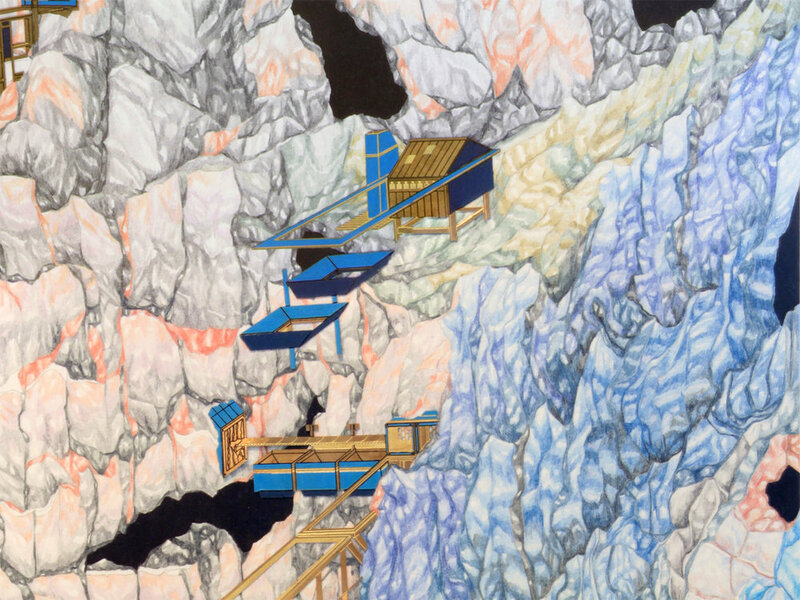 Vertical Archipelago — Alephograph: Architecture, drawing and video games. Study into a cliff-side infrastructure, providing building materials for the foundation of the UN Freeport in New York. Ink pen and coloured pencil on paper, etched brass with acrylic paint and ink, 29.4cm x 84 cm.